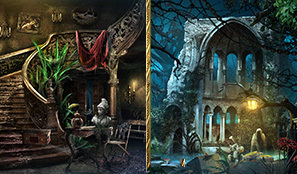 Hidden Objects Unravel the secrets of an ancient castle in amazing 15 Hidden Object scenes. Interactive Environment Visit 54 unique game scenes on your way to solving the quest. Uncover the secrets of the castle by exploring over 42 locations. Mini-games Challenge yourself in 21 mini-games and 14 puzzles. Your achievements will be rewarded with prizes, bonuses and pleasant surprises. Corona Labs, TouchMyApps, AndroidHeadlines, The Indie Toaster.